Let’s just get right to it today. Los Angeles Vision Zero wants your input on how the city should prioritize projects that address roadway collisions. The LA Weekly questions why Metro has budgeted $425 million to complete the LA River Bike Path by 2025. It’s fair to question the price tag. Which is not to say it isn’t worth it; completing the 51-mile bikeway would do a lot more good than the $1 billion spent to widen the 405 for no apparent reason. CiclaValley offers video evidence of just why protected bike lanes are needed on Spring and Main Streets in DTLA. Instagram star and gambler Dan Bilzerian has to start his $1.2 million ride from LA to Las Vegas by the end of this month, and complete the ride within 48 hours to win the bet; he’s gotten coaching from Lance and spent $125,000 to get his multiple bikes and crew of 17 ready. 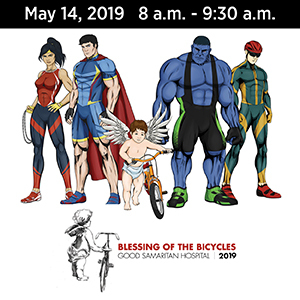 Downtown’s Just Ride LA is hosting a Bike 101 workshop starting at 11:30 this morning. LAist looks at the inaugural 17-mile 626 Golden Streets coming to the San Gabriel Valley this June. A Santa Ana bike rider was shot to death in an apparent gang-related drive-by; another man on foot was killed shortly later. And yet another man was shot while riding his bike in San Bernardino County. An Escondido bike rider was seriously injured in a collision with an SUV after allegedly riding through a red light; police suspect the victim had been drinking. Pardee Homes partners with the San Diego Mountain Bike Association to develop an off-road trail in Del Mar Mesa. San Jacinto resident Luis Aranda Llamas will be sentenced in May after pleading guilty to misdemeanor vehicular manslaughter in the death of 55-year old Matthew Carp as he rode in a Menifee bike lane; compounding the tragedy, Carp’s son took his own life after his father was killed. Ventura students call for justice in the double hit-and-run death of 14-year old bike rider Jonathan Hernandez. Thanks to Anthony Navarro for the heads-up. A Salinas man is hit by an SUV just 28 miles into his plan to ride at least 40 miles a day for 40 days to raise money for the homeless. A new safety vest responds to your voice commands to signal your turns. Bikeshare is expanding around the US, but often needs public subsidies to survive. Sort of like every other form of transportation, including private cars. 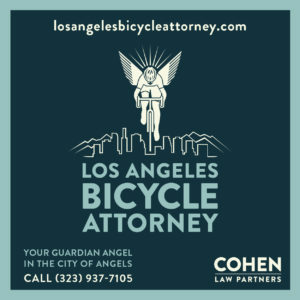 Bicycling lists 16 bike movies besides Breaking Away. Bighearted Reno firefighters fix a boy’s bike after he was hit by a car while riding to school. This is why people continue to die on our streets. 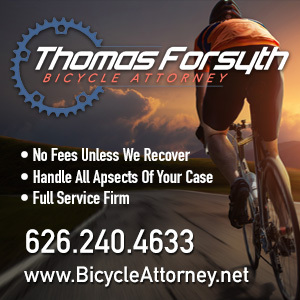 An Illinois driver gets six years for running down a cyclist while driving under the influence — after four previous arrests for DUI, resulting in two convictions. Chicagoist offers a beginner’s guide to biking on the mean streets of the Windy City. Which apply pretty much anywhere else, as well. A Massachusetts bike trail is being redesigned to make it safe and informative for blind and visually impaired riders. 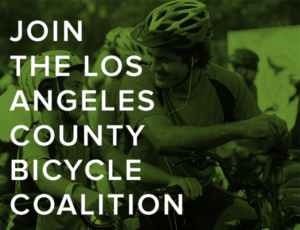 LA has Critical Mass on the last Friday of the month; Baltimore has the Baltimore Bike Party. After a North Carolina state trooper responded to a collision involving a boy on a bicycle, he teamed with his wife and father to give helmets to 40 kids. A London writer tosses political correctness — and logic — aside in claiming cyclists and their powerful backers are destroying the city. Evidently, it’s bikes, not cars, that cause pollution, and somehow, making space for bicycles on the roads makes it impossible for others to walk on the sidewalk. The Guardian says there’s a fine line between bending cycling’s rules and breaking them; a Reno masters rider is just the latest to cross it. Bike riders in the Netherlands will need bike registration and a helmet for any e-bike capable of speeds over 15 mph. So much for that screaming Kiwi driver who went ballistic after getting stuck behind a group of cyclists; turns out she was an actress hired to do a voiceover for the video. The Aussie man who took out an ad looking for the owner of the bike he stole for a drunken ride home actually found her. A new network of inner-city Auckland, New Zealand bike paths have proven to be even more popular than anticipated; 30% of the riders on one pathway are new to bicycling. Is it the perfect first mile/last mile solution, or just a grown-up balance bike? Evidently, dark chocolate is a performance enhancing drug. I can’t get to the LA River story (internal server error) but someone ought to relay the cost of a single rural freeway interchange, compared to the entire bike path. According to this link http://www.vtpi.org/WSDOT_HighwayCosts_2004.pdf one interchange can cost as much as $20 million in 2004 dollars. That’s one exit with long ramps and a short connector to existing roads. A JSK famously noted, bicycle infrastructure can be funded with the loose change in the sofa cushions of highway projects. It’s 9:05 pm Sunday night as I type this, and so far this weekend there hasn’t been any “breaking news”. Thank God!